James H. Cummins was born in Asbury, Warren County, New Jersey, May 22nd, 1837. He graduated in the high school in Hackettstown, and sought a new home in Michigan. He located at Fenton, where he taught school for one year and then engaged in the produce business, which he continued until August, 1861. At the close of the war he returned to Holly, Michigan, and engaged in the drug business, which he continued until 1872, when he disposed of this business and commenced work in the service of the Michigan Mutual Life Insurance Company of Detroit, as solicitor. He was made a director of this Company in 1882,and in 1890 was called to the home office and took charge of the loan and real estate department of the Company. Soon thereafter he was elected Secretary. In 1881 he was appointed colonel on the staff of Governor J. W. Begole, and in 1882 was appointed assistant Quartermaster General of the State of Michigan. He held every office in the Common Council of the Village of Holly, and was president of the village when its present system of water-works was put in, Holly being the first village of its size in the State to adopt water-works. He was a democrat in politics, but never accepted any political office except the position of postmaster at Holly for one term. His masonic career commenced in 1873, he being made a Master Mason in Holly Lodge, No. 134, on February 7th of that year. August 6th of the same year he was made a Royal Arch Mason in Holly Chapter, No. 80. He was High Priest of this Chapter for eight years and Thrice Illustrious Master of Holly Council for nine years. For six years he was Treasurer of all the masonic bodies of Holly. He is also a member of Genesee Valley Commandery, No. 15, Flint, and of Michigan Sovereign Consistory and Moslem Temple Mystic Shrine, of Detroit. 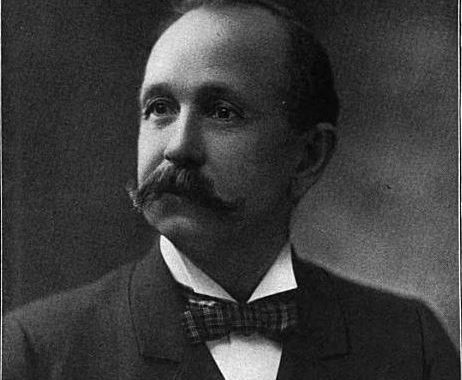 In 1894 he was elected Grand High Priest of the Grand Chapter of Michigan, having passed through the subordinate offices leading to that station during the several years immediately preceeding that time. He proved a wise and careful manager of the affairs of Capitular Masonry and won for himself a high place in the esteem of his companions. 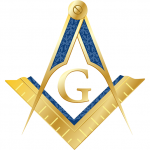 Freemasonry in Michigan, Vol. 2 by Jefferson S. Conover.